Ms. Tommey joined Gibson Robb & Lindh in April 1999. For the first few years, she handles primarily cargo subrogation matters. Since 2002, Ms. Tommey has specialized in marine insurance coverage, advising insurers regarding coverage under Cargo, Protection & Indemnity, Hull, Marine General Liability and Commercial Marine Liability (MGL or CML), Ship Repairers’ Legal Liability, Yacht Dealers’ Legal Liability, Marina Operators’ Legal Liability, Stevedores’ Legal Liability, Terminal Operators’ Legal Liability, Wharfingers’ Legal Liability, Marine Builders’ Risk, and Freight Forwarders’ Legal Liability policies. In addition, she provides non-marine coverage advice under various types of liability and first-party policies. Ms. Tommey also has substantial experience in handling insurance coverage litigation on behalf of insurers, including defense of coverage and bad faith lawsuits, as well as contribution claims between insurers. After 9 years with the firm, Ms. Tommey relocated to England in 2008, where she continues her professional association with Gibson Robb & Lindh remotely. 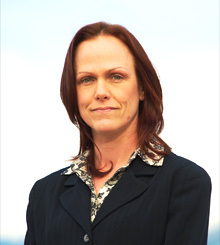 Ms. Tommey’s current practice includes California or U.S.-based marine insurance coverage matters, particularly complicated coverage disputes under marine liability policies of various forms, as well as P&I, Hull, and Cargo policies. Ms. Tommey has become increasingly involved in various marine personal injury and product liability defense matters, drafting numerous summary judgment motions leading to successful resolutions. She has also had substantial involvement in preparing various marine personal injury and product liability defense cases for trial, including developing legal theories for trial and drafting motions in limine, special jury instructions, and trial briefs. In addition, Ms. Tommey has become one of the firm’s experts in appellate work, drafting various petitions for writs of mandate and post-trial appellate briefs in both state and federal court. Ms. Tommey has also successfully resolved many marine and landside cargo subrogation matters, either informally or through mediation, arbitration, or dispositive motion. She has substantial experience in all aspects of litigation, including discovery, law and motion, mediation, settlement conferences, trial preparation, assisting in trial, and appeals. "Causation, Inherent Vice, and Packaging: U.S. Perspective"
"The California Insurance Regulations: Fair Claims Settlement Practices"